What can data science escape rooms do for your innovation program? The Economist magazine takes pride in its ability to provoke deeper thinking. One of its campaigns was to ask people to taste weird-looking foods, such as smoothies made from “ugly” produce that had been rejected by supermarkets. The idea was to stimulate participants to reassess what was important to them. This is “experiential marketing” in action – redefining the scope of engagement and reframing possibilities through participation. And this, in a nutshell, is what data science escape rooms are about. We have run a few of them at our events, and now prepare them for specific customers. I asked experience designers Jaimy van Dijk and Dana Hakman about the development process for such an experience. Let’s start with what initially attracted you to work on escape rooms. Most of the time we are supporting customers on demonstrating concepts that take weeks, and engagement with users is in a highly structured way. With analytics needing to become more agile, we see the role of user experience as more critical. Escape rooms are an opportunity to work in a feedback loop that is faster while being able to observe all the reactions. We wanted to see if we could create a new way to let our customers engage with our software. Not only for data-savvy individuals, but also for people who usually do not press the buttons in analytical software. Janny Morsink came up with the initial idea to build a data science escape room and asked us to join the project. We did not know where we were heading, but from there on as a team, we really enjoyed the journey to the final product. What was your first escape room project? 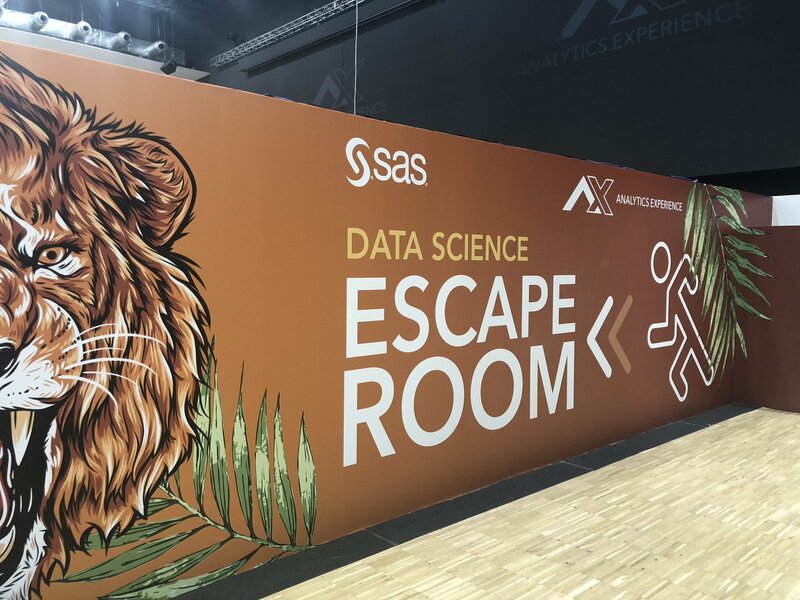 The first escape room, with the theme “Cyberattack,” was played at the SAS Data Science and Analytics Day in the Netherlands last May and one week later at SAS Forum France. As with every innovative project you put on display, it was a nerve-wracking day. Will people actually come and play? What will they think? The project eventually turned out to be the wow factor of the conference, and the escape room was fully booked within an hour. And then you worked on the Analytics Experience escape rooms. How were the topics selected? The starting point is always the marketing sponsor – in this case, Janny Morsink. 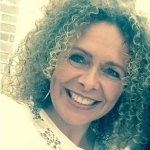 She gave us the big-picture objectives: two escape rooms with different participant experiences to align with what could be interesting for the target AX delegates. As the cyberattack theme was so successful, we decided to move forward with the theme and make it even bigger. As for the second theme, the wildlife protection topic was an easy one. It aligns with an existing SAS global awareness campaign, and everyone has an opinion on wildlife protection. What is the typical design and development process? Well, first we work out the analytical challenges and create a storyboard of the different milestones that make the escape journey. At this stage we also have to decide what data can be used. Just as in real life, data can make or break the hypothesis. Once we have a working prototype of the challenge logic, we then think about the output design at each stage and factor in the level of challenge we want to insert. Here we focus on user experience design principles. And then there is testing. A lot of testing. We are lucky in SAS, we have curious and digitally savvy colleagues who are willing to be our test support team. That is a different kind of work. We usually have to set up the day before. At AX, we had really bright walls to define the escape rooms. The flow of challenge stops is marked out, and we get hands-on with installing processors, networks and displays. And, of course, more testing. Capacity planning is important. We need to predict likely numbers of concurrent users and make sure each part of the journey can cope. Hence the queues, as we need to flow folks at a specific rate. In the near future you will see more escape rooms at events, both SAS events and third-party events. We’re also working with individual customers to design tailor-made escape rooms. We are convinced that experiencing the possibilities of an analytics solution beats hours of conference calls, meetings and reading. The data science escape room is a great way to promote and develop innovation across the organization. Wow that's really cool, I love escape rooms and SAS and analytics would be an interesting twist.